Bodypod was an interactive installation created as part of an artist residency program at The Walls Art Space. 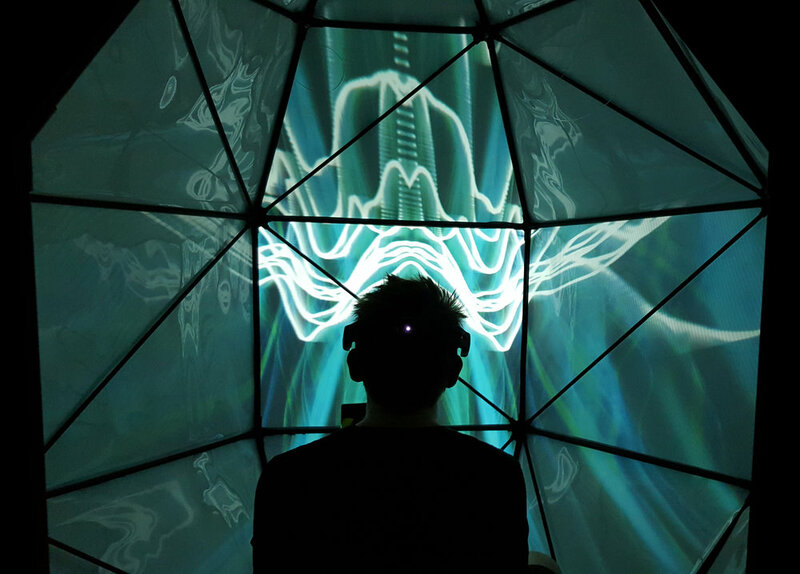 It combined 3D printing techniques with projection mapping, motion and gestural controls, synthesisers and generative, audio-reactive video. 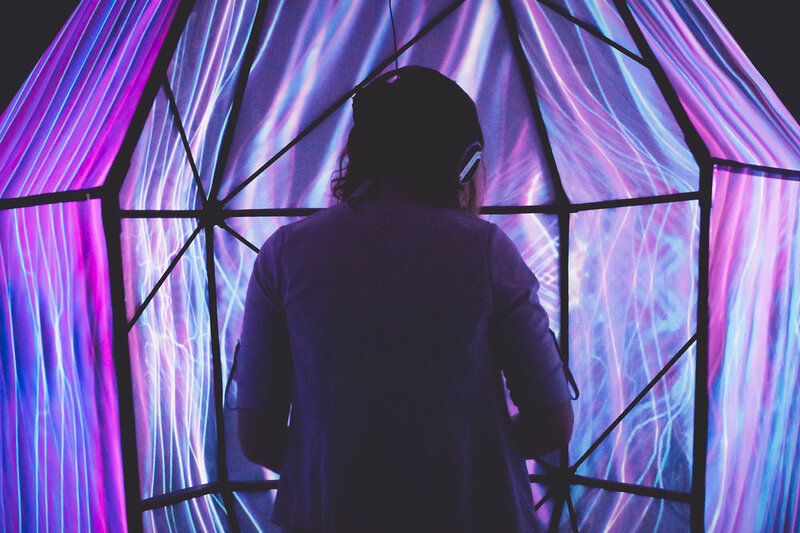 Being able to physically walk into the projection environment, the viewer controlled audio and video through bodily movements, creating a meditative experience. A second iteration was developed to utilise electroencephalogram (EEG) to capture the brainwaves of the participant. Developed in TouchDesigner and Ableton Live.